Jim Zurer is a passionate Italy specialist. He has traveled widely across the length and breadth of the Italian peninsula--from Friuli to Sicily to the Val d'Aosta and most places in between. Working with Jim gives you the benefit of first-hand experience and intimate knowledge of the ins and outs of Italian travel. "The trip was so well planned we felt like he had come with us. In our experience with travel agents and consultants, we found him to be incomparable." 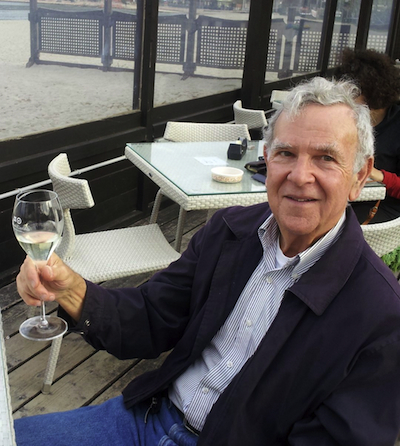 "One of the best things my husband and I ever did, as far as travel planning goes, was to hire Jim Zurer. We couldn't have put our trip together without him. " In the interests of getting to the end of the trip, I will compress our last four days in Italy into one report. We left Casale Monferrato (where we had a terrific time) for the north end of Lake Como--the town of Gravedona. 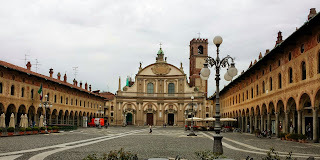 We made a stop for coffee in Vigevano (near Milan), a city known for its very handsome Piazza Ducale.